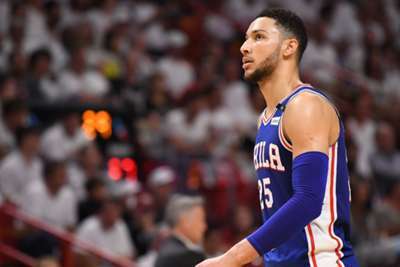 Ben Simmons recorded his 13th career triple-double in the Philadelphia 76ers' 127-108 victory over the Chicago Bulls on Thursday. Simmons scored 13 points with 13 rebounds and 11 assists as Philadelphia (1-1) drew even this season after losing to Boston on Tuesday. Simmons was two assists shy of a triple-double in that game. After sitting out his first year in the league, Simmons had 12 triple-doubles last season. Now with 13, only Oscar Robertson had more triple-doubles (67) in his first two seasons in the NBA. The @sixers win in their home opener behind 13 PTS, 11 AST, 13 REB from Ben Simmons! The 76ers displayed balance with eight players scoring in double figures. Joel Embiid led the way with 30 points and 12 rebounds, but all five starters scored at least 12 points, including last year's number one overall pick Markelle Fultz. The young 76ers still struggle to shoot from beyond the arc, but their nucleus of Simmons, Fultz, Embiid and Dario Saric has Philadelphia fans very excited.